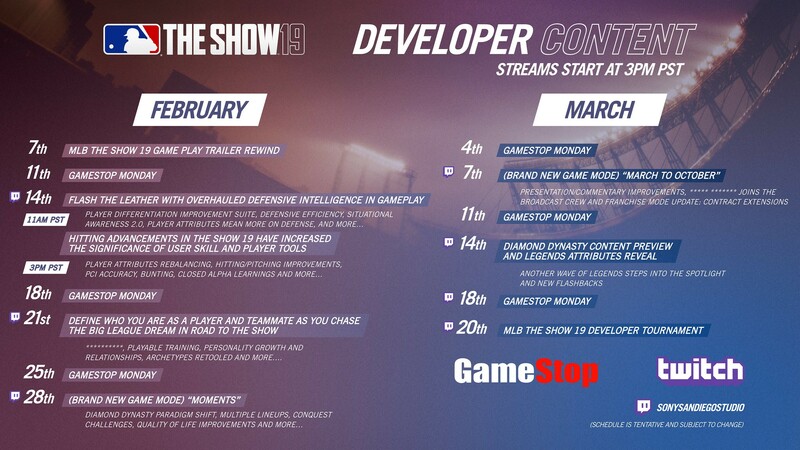 Don’t forget, MLB The Show 19 launches on 27th March 2019. For those of you curious as to what Editions we have available and what this year’s pre-order items are, you can check ’em out here. This is an especially exciting year for us here at PlayStation. We’re thrilled to welcome a new class of Legends to the team, including some all-time greats, and even more excited to show you what else we have in store in MLB The Show 19! In the meantime, please make sure to check The Show Nation, our Twitter, Facebook, and Instagram accounts between now and 27th March for the latest updates.